All are welcome at the 25th Annual Potawatomi Trails Pow Wow on August 25-26, 2018 at Shiloh Park in Zion, Illinois. 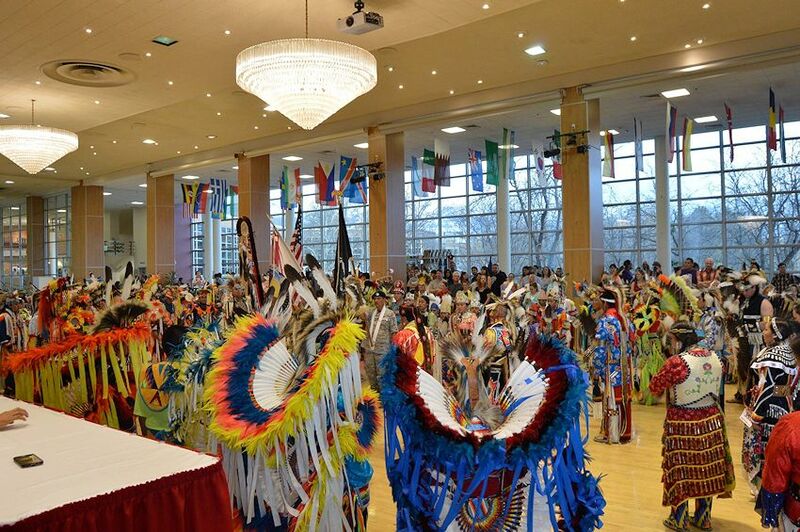 The Potawatomi Trails Pow Wow, the only event of its kind in this area, is a celebration of Native-American heritage. Its purpose is not only to celebrate this heritage, but also to heighten public awareness of Native- American history, traditions, and customs. Specific activities will include demonstrations, music and dance presentations, educational sessions and a trader area. * . . and more! Children under 6 & Elders over 65 FREE. 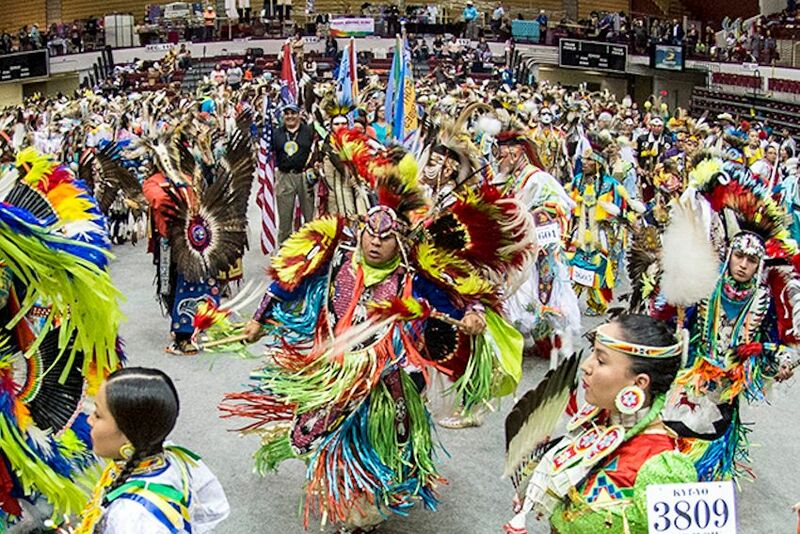 Saturday Grand Entry 1:00 p.m.
Saturday Grand Entry 7:00 p.m.
Sunday Grand Entry 1:00 p.m.
Grand Entry: Flags and Dancers are presented and announced as they enter the dance arena at the beginning of each dance session. Potawatomi Trails Pow Wow Committee Giveaway allows those hosting the event to present small gifts of Thanks to everyone at the pow wow. Call (847) 746-5797 or (847) 746-9086 after 6:00 p.m.
Take 1-94 to the State Line. From the North Turn left (east) onto Route 173. Exit on US 41. Go about 5 miles to Lewis Ave. Turn right and go to 27th St.
Take 294 or US 41 North to Route 173. From the South Turn right (east) onto Route 173. Go about 5 miles to Lewis Ave.
Who Participates At A Pow Wow? Everyone! The public is welcome at the Potawatomi Trails Pow Wow. There are no spectators. When the MC announces an “inter-tribal” song everyone is welcome to dance if they choose to. Just browsing the trader booths or talking to people makes you part of the celebration. Why Is This Called “Potawatomi Trails Pow Wow”? The Potawatomi Trails were established by the Native Americans who lived in this area and marked their footpaths to indicate directions. Small oak saplings were bent and tied into knots as signs to show the correct direction to travel. This pow wow honors these people and their descendants who left these markers behind. Modern day Sheridan Road and Green Bay Road in Lake County, Illinois were built following these trails. Cars may not be driven into the park. The Potawatomi Trails Pow Wow is a a Drug and Alcohol Free Event. Mark your calendar today so you don’t miss the next Potawatomi Trails Pow Wow in August at Shiloh Park in Zion, Illinois. (847) 746-5797 or (847) 746-9086 after 6:00 p.m.